Hi Vanessa! For those who are unfamiliar with R&F, what services do you offer and Which of these have proved the most popular in the last 12 months? We provide premium aluminium 5ft light up letters and we are also wedding planners; both our light up letter hire teams and our planning teams have been super busy in the last 12 months. Have you seen a major shift in what customers require/like with regards to your light up letters? In the last 12 months we have have seen a definite shift from couples wanting generic words such as ‘LOVE’ or ‘MR & MRS’ on their wedding day to wanting their initials as a way to personalise their wedding further. (They also make for some great photo opportunities!). As we approach 2018, what have been your favourite trends this year and which ones do you think will continue through to next year? We love the soft metallics such as rose gold and copper especially when mixed with fresh greenery and geometric shapes – kind of industrial meets soft and sparkly! I’m sure that a Brides love of metallics and sequins will continue into 2018 and I hope to see more of what I would call ‘loose, wild florals’ – less structured bouquets and arrangements giving a more Bohemian/1920’s feel to a Brides floral styling. Do you have any stand out moments/weddings in 2017? We’ve been to lots of great weddings this year but our stand out moment was when one of our couples held a 2 day festival wedding complete with flamingos, a hot tub bus and a 12 hour music festival the following day as the ‘wedding after party’. 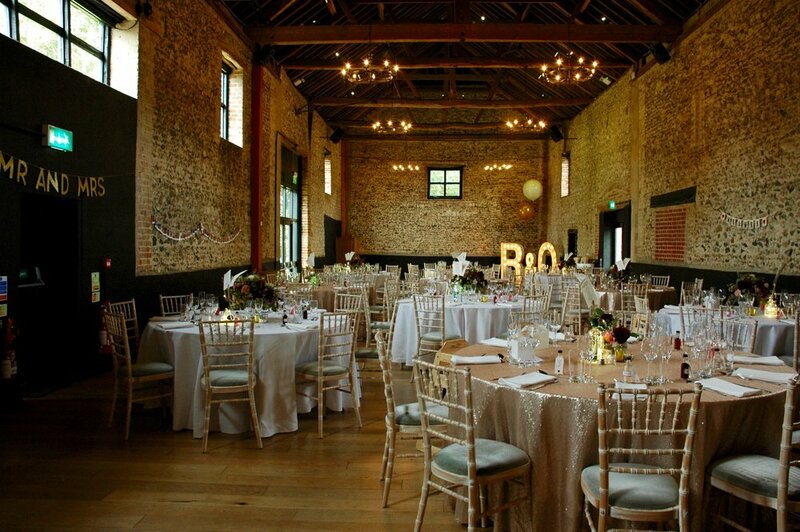 We also had a fantastic couple who wanted to hire our letters for their wedding reception saying ‘sh*t just got real’ – we thought they had a great sense of humour but unfortunately our letters were just to big for the venue space they had available – it would have definitely been a talking point for the guests! We love having you up at the barns! What’s your favourite thing about working in our venue? We genuinely love working at the barns and with the GG’s – we know we will always be greeted with big smiles and warm hello’s from everyone and set up is always so easy as we are all familiar with how the other works! 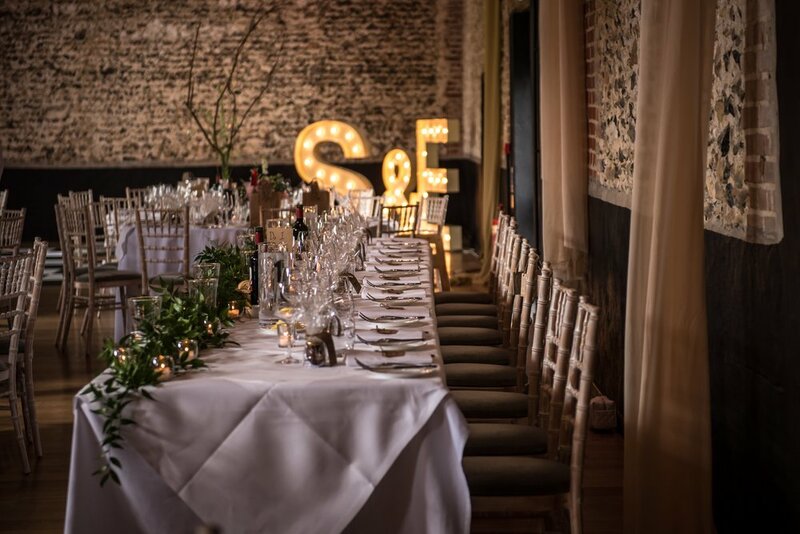 It’s also lovely to feel like you are part of the team working together to make that day’s wedding super special rather than just an external supplier dropping off something for the wedding – the GG’s make you feel involved which is great!